(Bloomberg) -- The collapse of a bridge in Genoa on Tuesday killing dozens, has cast a shadow over the dominance of Italy’s road infrastructure by Atlantia SpA, an infrastructure firm that manages highways and airports. Engineers have yet to establish what caused the disaster but senior members of Italy’s populist coalition government have warned they are looking at stripping Atlantia’s highways arm Autostrade d’Italia of key operating concessions if it’s found responsible. One minister raised the prospect of nationalization. 1. Why did the bridge collapse? This remains unanswered for now. The 1.1 kilometer-long viaduct over the Polcevera river was built in the 1960s to ease traffic congestion in the northern city of Genoa, one of Italy’s main ports. The aging bridge needed continuous maintenance as traffic volumes rose but Autostrade said this week quarterly checks had yielded “adequate reassurances on the state of the infrastructure.” However, in April the company began seeking bids for improvements to the structure. 2. Who runs Italy’s highways? Autostrade per l’Italia manages 3,000 kilometers of toll roads in Italy, about half of the total. It was privatized in the late 1990s, with concessions running until 2042. Autostrade is now 88 percent owned by by Atlantia, a listed company with interests in toll roads and airports across Europe and South America. Atlantia has sought to diversify its revenues and bought a stake in Spanish operator Abertis Infraestructuras earlier this year. Atlantia’s largest shareholder is the Benetton family, founders of the United Colors of Benetton and Sisley brands. More than two thirds of Atlantia’s earnings came from Italian motorways last year, according to data compiled by Bloomberg. 3. What’s the government saying? Italy’s Transport Minister Danilo Toninelli said he is reviewing Autostrade’s concessions and said in a Facebook post: “If they can’t run our highways, the state will do it.” He and other senior government figures also called for Autostrade’s management to resign. Luigi Di Maio, deputy prime minister and head of the Five Star Movement, on a visit to Genoa echoed the threat to withdraw concessions and also noted that the ruling coalition parties are “the first not to have received money from Benetton family.” The government may limit any license-withdrawal to the A10 highway that includes the bridge, not the entire toll-road network run by Autostrade, according to a Transport Ministry official who asked not to be named in line with internal policy. 4. Will Atlantia lose its Italian concessions? 5. Is enough being done to maintain Italy’s highways? Toninelli also criticized Autostrade and other road operators in Italy for charging the highest tolls in Europe while failing to maintain the roads adequately. Highway charges are rising faster than inflation but that isn’t matched by increased spending on maintenance, Ragazzi said. Autostrade invested more than 1 billion euros in each of the last five years to upkeep and improve the network, it said in a statement on Wednesday. 6. How might this shape policy? Italian Deputy Premier Matteo Salvini said the failure of the bridge in Genoa demonstrated the importance of increasing investments and hinted that European Union spending limits could put lives at risk. 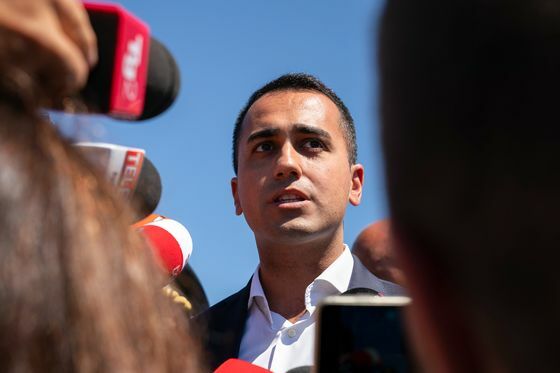 Salvini and Di Maio have already demanded the EU bend its rules on spending targets to allow Italy to boost outlays and cut taxes. Previous Italian governments have long pressed for certain types of investment to be excluded from EU calculations. The unit responsible for the bridge calls an emergency board meeting, for the week after the tragedy. Bloomberg’s Lionel Laurent on how Italy’s populists always find someone to blame.